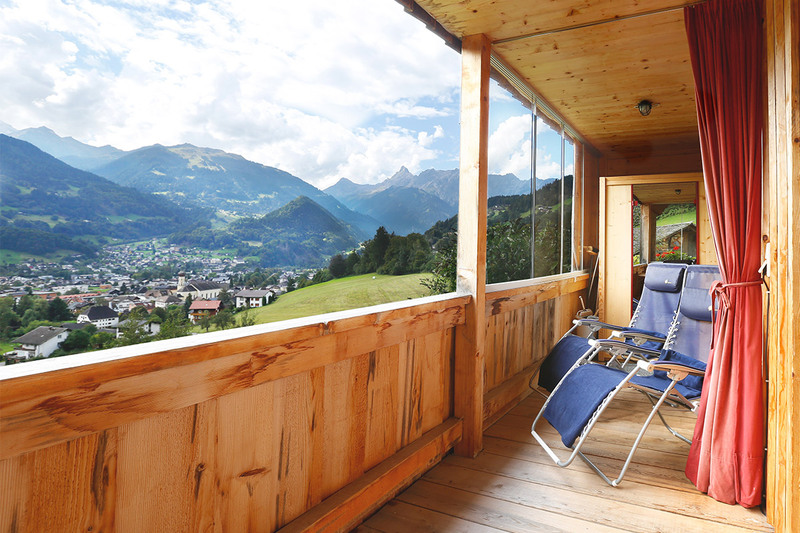 Treat yourself to a holiday in our unique apartments which are located on the sunny slope of Schruns (in the Montafon valley) where you can enjoy the panoramic view of the Austrian Alps to the full. The ecologically built chalet offers decor of exceptional quality by including local and natural materials. Chalet Christl is a prime example of creative planning which leaves nothing to be desired. The chalet was opened in December 2004. Terrace and balcony care for unforgettable moments and for the perfect panorama view. Families with 2 children feel right at home. Divided into two floors, with its own balcony and infrared-cabin. These apartments invite you to spend an awesome time with your friends or family. 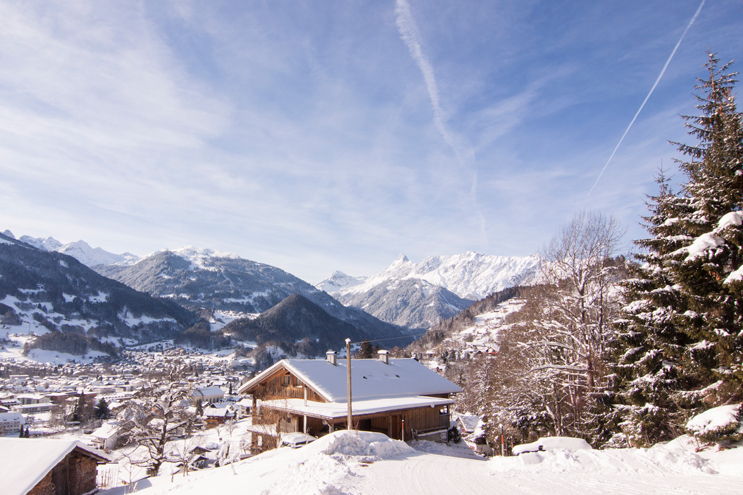 Slightly above the village of Schruns, approximately 500 m from the village centre, located at the valley run in winter and at the hiking paths in summer, our Chalet brings the nature close to our guests and offers magnificent views from all of our apartments. The Physiotherm infrared cabin ensures relaxation for body and mind. The heat treatment leads to an improvement of blood circulation, encourages the metabolism and therefore strengthens one’s immune system. In addition the warmth relaxes the musculature and eases tensions. Full regeneration is guaranteed. Since January 2007 we are one of 5 accommodations in Vorarlberg which offer TESLA Destination Charging. 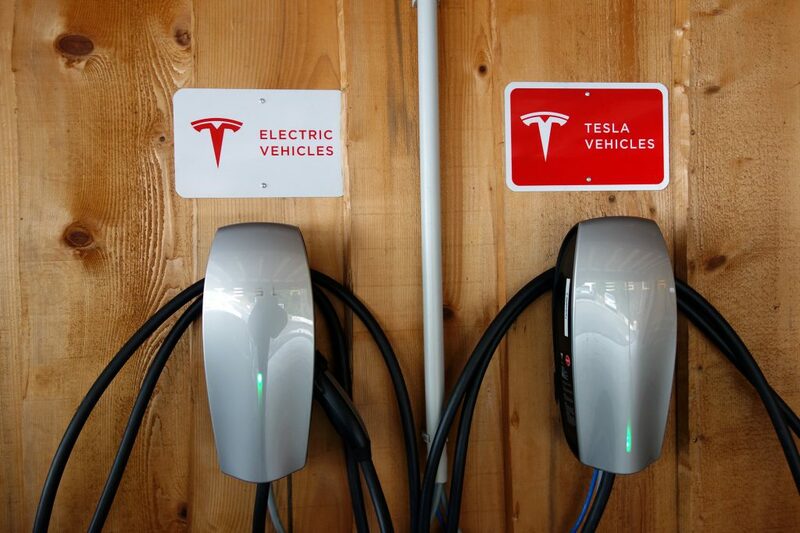 We offer two TESLA chargers and one further charger for other electric cars directly in our carports. The Montafon valley offers 292 km of marked downhill runs at different difficulty levels. All skiers and snowboarders will find perfect runs to suit their requirements. 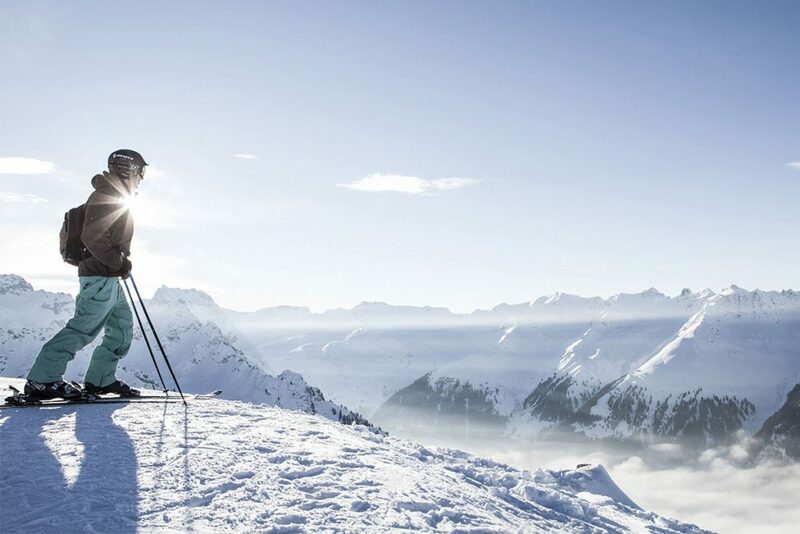 Hardly any other region offers so much winter sports variety as the Montafon- it is ideal for back-country skiing, tobogganing, snow shoe walking or just going for a relaxing winter walk. 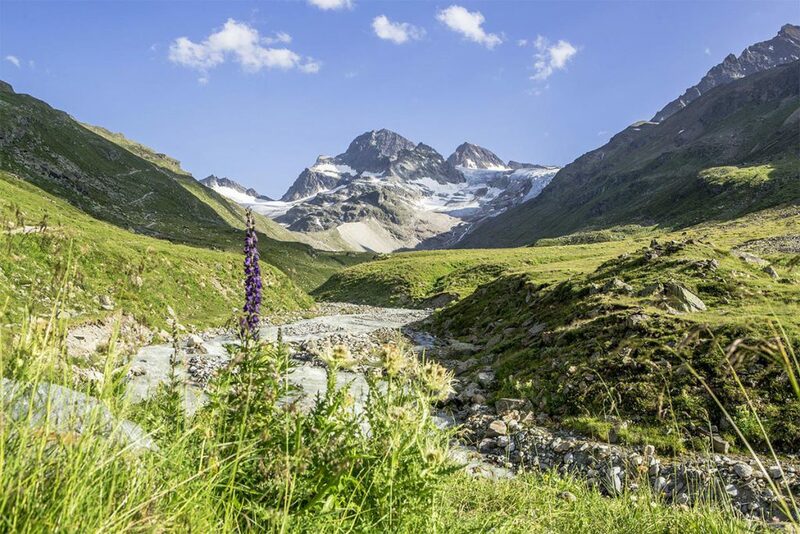 All in all approximately 500 km of marked hiking paths lead you over lush meadows, through deep woods from hut to hut over ridges to the peaks of the Montafon mountain ranges Verwall, Rätikon and Silvretta. 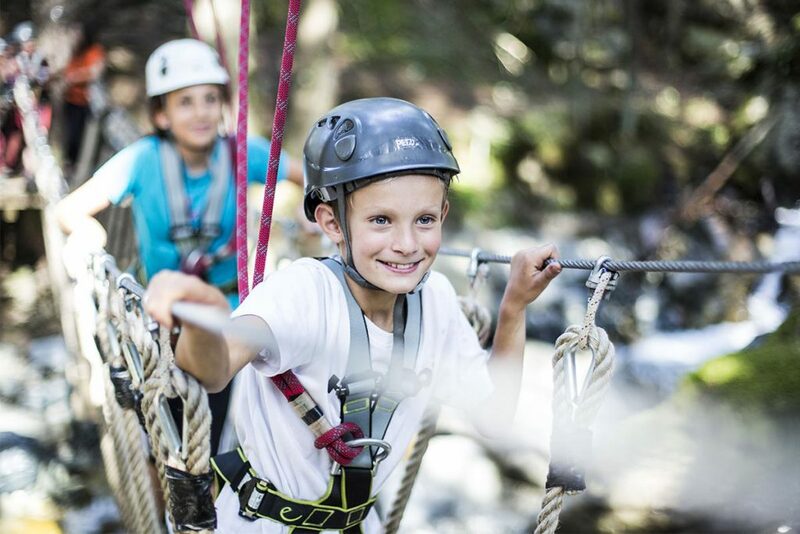 12 mountain huts, several heated outdoor swimming pools, the “Mountain Beach” leisure park in Gaschurn, the “All Weather Pool“ AQUARENA in St. Gallenkirch, the covered Aktivpark Montafon in Schruns/Tschagguns, the FUN Club in Gargellen, mini golf courses, tennis courts and halls, one squash hall, one climbing hall, two 9-hole golf courses, nightclubs, an attractive range of events and the fantastic Montafoner cuisine complete the range of activities.